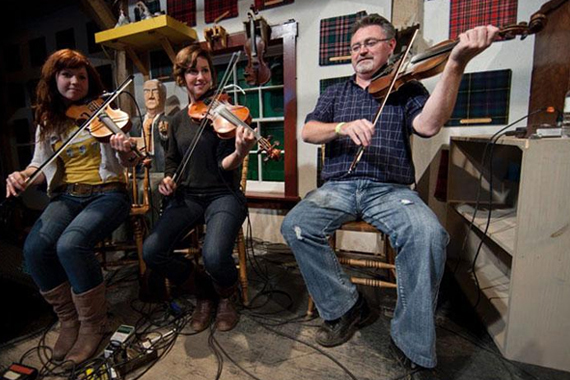 Listen to Cape Breton’s finest fiddlers or even learn to square dance in a welcoming venue with superb acoustics! Featuring the best players on the Island considered some of the finest in the Celtic fiddle world, along with emerging talents, and impromptu guest performers. The atmosphere is informal, the acoustics are excellent, and the local crowd graciously shares the love of their music and dance with visitors from near and far. Located on the grounds of the Normaway Inn, Egypt Road, Margaree Valley. Concerts take place Wednesdays (July, August), Fridays (June, September, October) at 8pm, dance at 10pm. Adults $10-20. Under 18, $5. Tickets at door or call 1-800-565-9463 for reservations. *Music 7 nights a week.